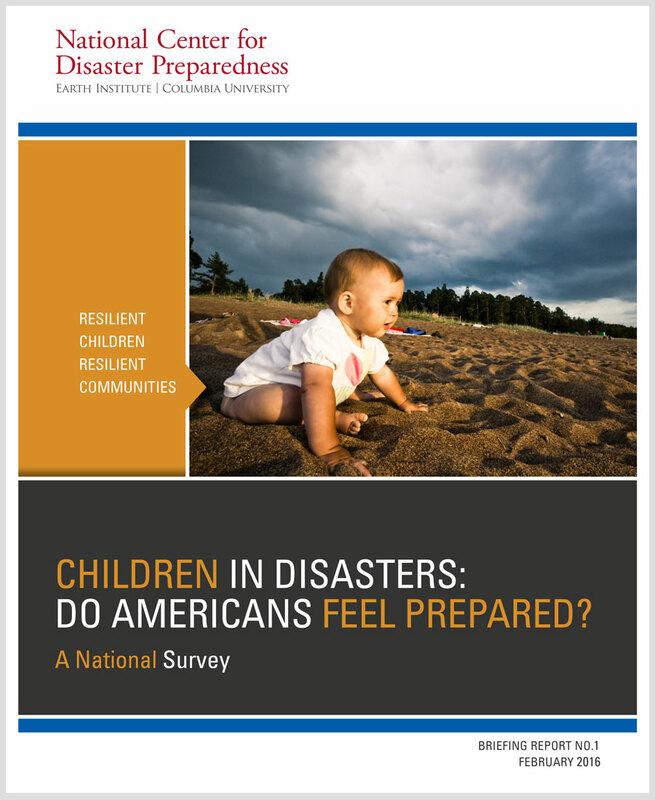 Home > Toolbox > Children in Disasters: Do Americans feel prepared? As part of the RCRC Initiative, the National Center for Disaster Preparedness designed and deployed a national survey modeled on prior work through the American Preparedness Project, which collected national data on attitudes and opinions on preparedness. This booklet released data that focused on children in disasters. Title: Children in Disasters: Do Americans feel prepared?